The cloud mining provider Genesis Mining has announced their project called Genesis Hive – a web interface that enables you to easily setup, watch, and manage your bitcoin or altcoin mining farm. 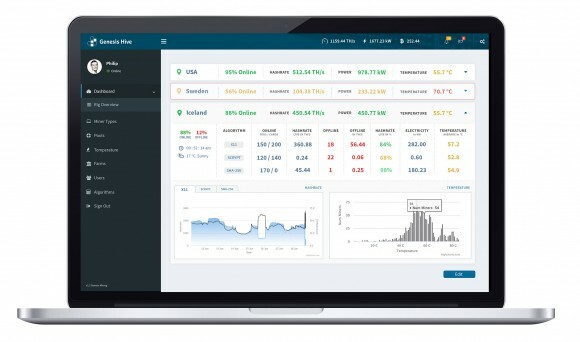 Think of it as the ultimate control panel to manage your mining rigs in a large scale crypto currency mining operation such as the one the company has been operating. In fact the Genesis Hive has been developed for internal use as the company needed to be able to have an easy to use solution for monitoring and controlling of the hardware in their own mining data centers. The project is designed for large scale mining operation and is not intended for small home miners, so if you are interested you can check more details about the solution and inquire for additional information such as hardware compatibility and pricing.